Representatives from U.S. and Indian public health agencies today inked a series of Memoranda of Understanding (MOUs) aimed at advancing a broad range of joint research ventures, public health collaborations, and clinical exchanges. Addressing cooperative opportunities in areas as diverse as cancer prevention, antimicrobial resistance, and traffic safety, the proposed MOUs reflect a deep commitment to a growing partnership between the U.S. and India that is increasingly focused on health priorities for both countries, including environmental health, non-communicable diseases, and global health security. U.S. Ambassador to India Richard R. Verma participated in the signing; U.S. partners included the U.S. Department of Health and Human Services Office of Global Affairs; the Centers for Disease Control and Prevention; the National Institute of Allergy and Infectious Diseases and the National Cancer Institute, both parts of the National Institutes of Health. Signatories from the Government of India represented the Ministry of Health and Family Welfare; the Indian Council for Medical Research of the Department of Health Research; the Department of Biotechnology, Ministry of Science and Technology; and the India National Cancer Institute, a part of the All India Institute of Medical Sciences. Activities under these MOUs demonstrate a breadth of collaboration from laboratory bench to patient bedside. 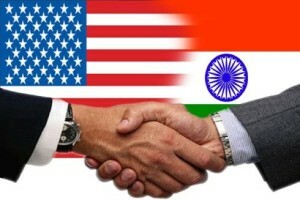 During the visit of President Obama in January 2015, the U.S. and India committed to “enhance cooperation across the spectrum of human endeavor to better their citizens’ lives and that of the global community.” Both countries have highlighted these partnerships, formalized in these MOUs, as concrete examples of that commitment.